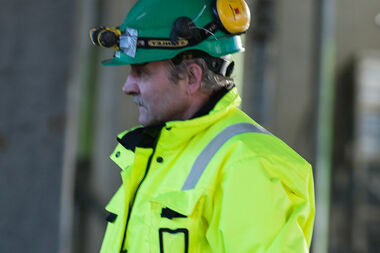 Wenaas hi-visibility clothing has been specially developed for professional users working in environments where visibility is crucial to safety. Wenaas was one of the first clothing makers to introduce fluorescent materials, and has long been developing functional work clothes and protective equipment solutions that provide the necessary protection – without it affecting either comfort or fit. All garments are naturally certified in accordance with the latest EN standards. 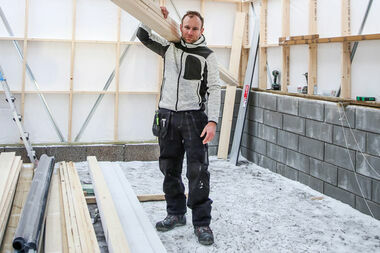 Wenaas hi-visibility clothing is developed in Norway – on the basis of Norwegian needs and for Norwegian working conditions. We have developed our new line of hi-visibility clothing in partnership with people who work in the building and construction sector. This approach, combined with our own experience and skill, helped us succeed in developing clothing featuring ergonomic solutions and material choices that ensure the clothes are hard-wearing, comfortable and has an excellent fit. 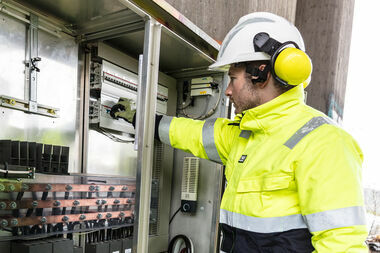 Capacity always to achieve class 3 – by choosing jointly certified garments, you can put together a product mix that suits your own preferences, while remaining confident that you are clearly visible to your colleagues. Consideration has been given to how large a logo surface you can use on all garments without affecting the certification class of the item in question. Trousers are delivered in standard lengths, with the option to extend the length by removing the blue seam at the bottom end of the legs. If you require a shorter leg length, please state this when ordering. A simple size system and unique item numbers make it easy to find your size. The trousers feature wedge-shaped reinforcement at the groin, which improves both durability and comfort. The sleeve design prevents the top riding up when you are working with your arms raised, while the rib-knit cuffs with thumb grips stop dirt and dust entering the sleeves. The clothes are Øko-Tex® labelled, which is your guarantee that no allergenic or carcinogenic colourants were used in their production. Cordura fabric (240 g/m2) in hard-wearing areas helps increase the lifetime of the garment. Selected models feature elastic reflectors for increased comfort. Cold and wet climate and demanding work situations call for workwear that provides solid protection from the inner to the outer layer. Risk assessment of an enterprise is an ongoing process. It requires regular mapping processes and evaluations of hazards and challenges in work situations.